On 22 September 2018, a Japanese H-IIB rocket launched the HTV supply vessel containing the ACLS (Advanced Closed Loop System) module destined for the International Space Station (ISS). The International Space Station moves around the Earth at some 400 km above its surface. As barely any oxygen is present at this altitude, it must either be supplied from the ground or generated on board the ISS. Bringing oxygen to outer space is expensive, with transportation costs for 1 kg of payload coming in at around EUR 33,000. It is therefore a good idea to try to process the air exhaled by the astronauts in order to generate oxygen that can be inhaled again. This is the purpose of the ACLS, which was transported to the American Destiny module (US laboratory) on 22 September 2018. Airbus developed the ACLS on behalf of the European Space Agency ESA. In the ACLS cycle, oxygen is generated by the carbon dioxide from the cabin air being turned into methane and water using hydrogen obtained from splitting water molecules and adding energy. The electrolysis process extracts breathable oxygen from the water. According to Airbus, the system is designed for a crew of three astronauts and saves 450 kg of additional water load per year. At full performance, the ACLS extracts 3 kg of CO2, supplies 2.5 kg of oxygen and produces 1.2 kg of water each day. The ACLS requires extremely reliable components to ensure that these processes run safely. Swiss pressure measurement technology manufacturer Keller AG from Winterthur won the contract to develop the pressure measurement technology. The project posed some extreme challenges, as, at 400 km above the Earth’s surface, components cannot be replaced within a reasonable period of time if they fail. Keller’s contribution to this mission comes in the format of absolute and differential pressure transmitters that work in the range of 50 mbar...20 bar at 0...110 °C. greater than they need to be”, says a delighted Jürg Dobler, Managing Director of Keller Gesellschaft für Druckmesstechnik mbH. 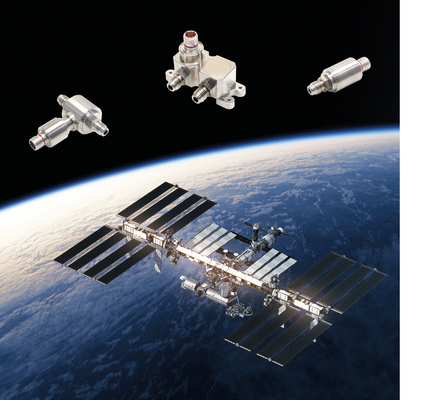 “Needless to say, our initial sensor projects for the aerospace industry incorporate our many years of experience in aviation, but of course also in industrial applications. In addition, we are naturally expecting our findings from the aerospace projects to feed back into our broad range of pressure sensors at Keller”, explains Dr Günther Kaden, Consultant Aerospace Sensors.